He wanted to haul dirt, but said his name is mud, according to authorities. The grandson of one of Staten Island's most notorious mobsters is accused of running an illegal waste carting business and griping to investigators that he'll never get a license because of his name. Paul A. Castellano, 39, is the grandson of Paul (Big Paul) Castellano, the slain mafia boss who was gunned down outside of the Sparks Steak House in Manhattan in 1985. On Wednesday, he was hit with a misdemeanor charge of operating a business without a trade waste license, after a dump truck owned by his business, American Materials Inc., was caught picking up excavating material from a construction site at 53 Wadsworth Ave. in Fort Wadsworth. Said Castellano, according to a law enforcement source, "They'll never give me a license because of my name." Castellano had, in fact, applied for a license in April 2006, but withdrew that application in 2008, the source said. Investigators with the city's Business Integrity Commission took photos of Castellano operating the truck and picking up dirt personally, the source said. The criminal complaint against Castellano offers more of his alleged statements to a BIC investigator: "I pick up dirt. I tried to get a license. They will never give me a license. I didn't want a denial on my record so I withdrew the application from BIC. I own the company. I won't do it again." Castellano's business is located at 2945 Richmond Terr. in Mariners Harbor, and he lives on the 300 block of Ashland Avenue in Prince's Bay. According to a BIC official, Castellano's company applied to the BIC for a Class-2 Exempt registration in April 2006, but withdrew that application two and a half years later, in October of 2008. Trade waste applications are reviewed by the BIC's background investigations and legal units to make sure applicants meet the city's standards of "good character, honesty and integrity," the BIC official said. 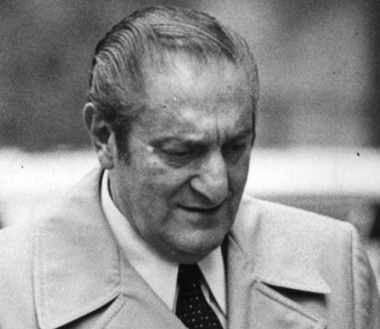 Castellano's grandfather, who lived in a Todt Hill mansion, was often called "the real-life godfather," and his death has become legend in the city's organized crime history. On Dec. 16, 1985, a four-man hit crew working for John Gotti waited outside the Sparks Steak House, wearing Black Russian fur hats and pale trenchcoats, and when Castellano got out of his car on his way to dinner, they riddled him with bullets. Back in 2004, the city Buildings Department issued a violation to the grandson after heavy equipment crashed into a 10-foot-high brick retaining wall at 2945 Richmond Terr., sending a 15-foot section crashing onto the roadway between Harbor Road and Bush Avenue. Paul A. Castellano was listed as an officer of The Storage Bin Inc., which owned the property. That violation was ultimately dismissed, though the property still shows numerous active violations, according to the Buildings Department website. If convicted, the grandson could face a criminal fine of up to $10,000 and a civil fine of up to $5,000 for each day he's in violation of city code and up to six months in jail, according to information from District Attorney Daniel Donovan's office. He was arraigned in Stapleton Criminal Court on Wednesday, and released on his own recognizance until his next court date Feb. 4. Castellano did not immediately return a phone call seeking comment Thursday.